Canadian precious metals producer McEwen Mining (TSX, NYSE:MUX) said Wednesday is kicking off construction at its Gold Bar project, the first new gold mine to be approved in Nevada, US, in several years according to the company. 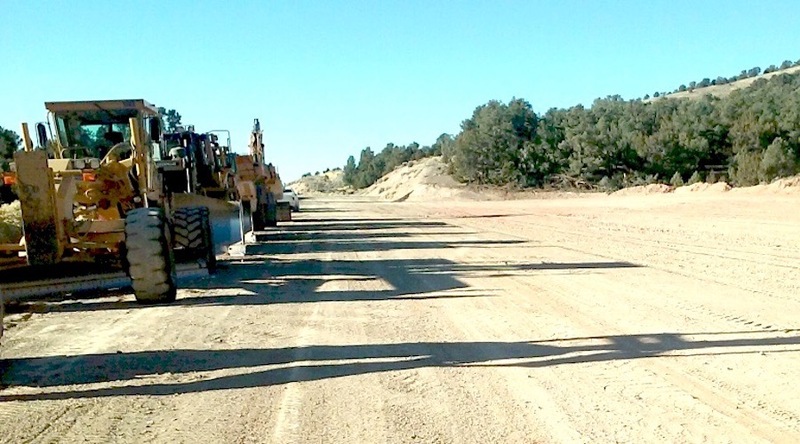 The announcement comes as the miner, who had been trying to get all the necessary permits for the project since 2013, has received the signed Record of Decision (ROD) on the Final Environmental Impact Statement (EIS), McEwen said. Once built, the Gold Bar open-pit mine is expected to generate 65,000 ounces of gold annually over an 8-year mine life, with production beginning in 2019. In April, the Canadian resources magnate McEwen told MINING.com he was giving himself two-to-three years to make that happen through a combination of organic growth in production as well as mergers and acquisitions. But on Tuesday, while meeting investors in Zurich, he stretched the deadline to four years. The company has been moving in the right direction. In April, it acquired junior exploration company Lexam VG, which gave McEwen access to mineral properties in advanced exploration stage in the heart of Timmins Gold Camp, northern Ontario. And in August, it bought the Black Fox mining complex in Timmins, Canada, for $35 million from Primero Mining Corp, which had invested more than $500 million, but sold it to reduce its debts. McEwen's Gold Bar is located in the southern Roberts Mountains within the Battle Mountain-Eureka-Cortez gold trend, about 48km (30 miles) northwest of Eureka, in Eureka County, central Nevada, and covers an area of 97 sq. km (37 square miles) contained in 1,196 claims. Once built, the Gold Bar open-pit mine is expected to produce 65,000 ounces of gold annually over an 8-year mine life, with operations beginning in late 2018. It is also estimated to generate about 120 permanent jobs. Cantor Fitzgerald analyst Rob Chang qualified the news as positive reiterating Wednesday the firm’s “buy” recommendation and $3.15 target price. Cantor estimates Gold Bar project’s Net Present Value (NPV) at $90.9 million, or $0.27/share, based on a 12-year life of mine and a pre-production discount rate of 7%. The firm also believes cash cost will be around $750 per ounce with all-in sustaining costs expected to be $775 per ounce over the entire life of mine.